The area that surrounds Ladysbridge Village boasts strong community values within a safe and relaxed environment. 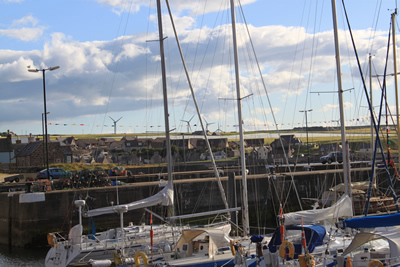 There is plenty to do for all ages in the nearby vicinity, from outdoor pursuits such as walking, cycling, golf, fly fishing and sea fishing, wildlife and bird watching, boat trips, and festivals, to heritage centres where you can discover the fascinating history of the area. There are a range of interesting tourist attractions such as castles, museums, distilleries and opportunities to sample some culture at the Duff House Country Gallery, spectacular example of William Adam's architecture and a treasure trove of exhibits. As a member of National Galleries of Scotland, it boasts a superb permanent collection and regular big names at their visiting exhibitions. You can sample local produce in one of the many cafes or restaurants with the chance to purchase local foods at the regular farmers markets and delicatessens. Deveron Community Centre - Swimming pool, squash courts, tennis, dance studio, gym, sports hall, running track, cycle track, astroturf.